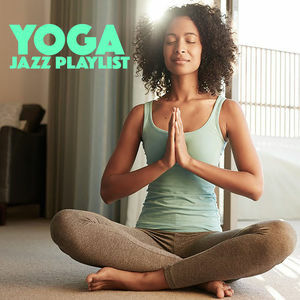 The Yoga Jazz Playlist was released by the makers of Jogging Jazz Selection amid a certain amount of confusion in some quarters just this week. Mainstream heaven yes, for a soundtrack to yoga, lawks! The good news is that while your inner peace may be in a temporary state of disarray, solace is possible but perhaps not in the choices the “hopeful” compilers have hazarded upon. Simply construct a sentence out of all the song titles. The correct sequence is vital! Scroll down for the full effect. Joe Venuti who introduced us to Moonglow back in the 1930s... little did he realise! “You rascal you, my man’s gone now, Dizzy’s blues, my groove, your move, moonglow, ready get set jump, ornithology, soon, the lady is a tramp — don’t squawk.” A snip at £4.79!